Throughout her career, the Spanish Arantxa Sanchez Vicario accumulated US $40 million. And she lost almost everything by family fights, debts to the treasury and divorces. Arantxa Sanchez Vicario, guest of honour at the 2016 Roland Garros Awards. She achieved fame and success from a young age. She accumulated an immense fortune and lost almost everything between family fights, lawsuits for alleged tax evasion and an extremely complicated divorce. This is the dark side of Arantxa Sanchez Vicario, a phenomenal tennis player and an undisputed icon of her generation. Born in 1971 in Barcelona, it was one of the best in the world for more than a decade, and became number 1, even for a while. For the Argentine public, her name sounds familiar since she was one of the classic rivals of Gabriela Sabatini. Gaby had greater natural talent, charisma and tennis skills. 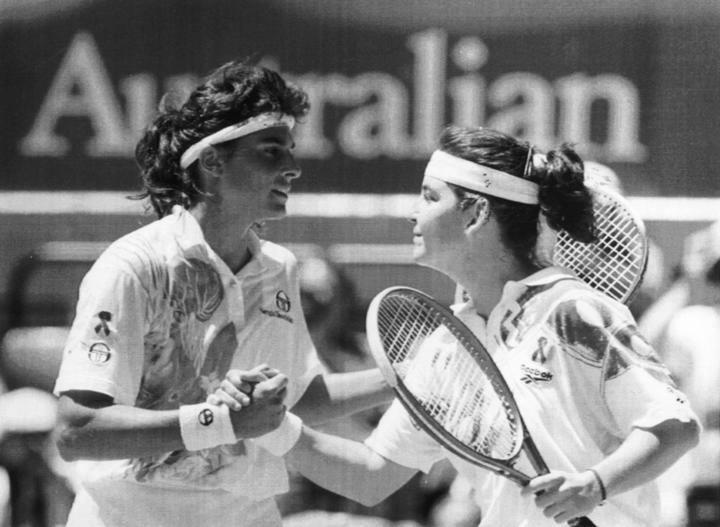 But Arantxa Sanchez Vicario made up for it with her brave spirit, but even so, Argentina – almost of her own generation, since it takes only a year – won her in most of her confrontations. Sanchez-Vicario developed a more extensive campaign. She remained active until she was 33 years old and became one of the most successful players in history: 4 Grand Slam singles titles (and 10 more in doubles), the number 1 ranking simultaneously in single and doubles, 4 Olympic medals, 5 titles in the Federation Cup for Spain. She debuted as a professional with only 14 years, won the first of her tournaments at 16 in Belgium and at the time of her retirement, she accumulated 29 trophies in singles and 69 in doubles. It also symbolized the irruption of women as protagonists of the Spanish boom in sports, in general. A true idol in her country, she was awarded the Prince of Asturias Award for Sports when she was 27 years old. A separate item – but usually recorded in professional sports statistics – Indicates that Arantxa Sanchez Vicario won US $16,942,640 in official prizes. A number that today does not draw much attention (in fact, there are 19 players who accumulated more) but it was striking for her time, two decades ago. And that accumulated money served as the basis for her personal fortune, which, at the time of her retirement, was estimated at US $40 million. Currently, Arantxa Sanchez Vicario has an appointment in the courts of Florida, United States, for next March 4: the complex, tortuous and harsh divorce proceedings with Josep Santacana, her second husband and father of her children, Atanxa (9) and Leo (7). This situation is also being resolved in Spanish courts and can be reduced to the following: Santacana demands the possession of the boys, alleging “psychological problems” of Arantxa. She, in turn, accuses him of having squandered that fortune. This process of divorce is just another step in the slope that fell Arantxa Sanchez Vicario since her departure from the courts. After a brief marriage with a sports journalist, Joan Vehils, Arantxa relapsed in 2007 with Santacana, a businessman of dubious past, whom she met at a party in Ibiza. The journalists who covered tennis at that time of the Gaby-Arantxa duels (and Graf, Seles, Navratilova, of course) had the “Sanchez-Vicario clan” as the model family of the circuit. Arantxa Sanchez Vicario was always accompanied by her parents, the engineer Emilio Sanchez and his wife Marisa, a former teacher. The brothers of Arantxa, Emilio and Javier, also stood out as first level players and then, coaches. That second marriage of Arantxa seemed to dynamite everything: his parents and brothers placed detectives to control Santacana and warned of the danger. Two years later, the problem was no longer familiar, but economic. 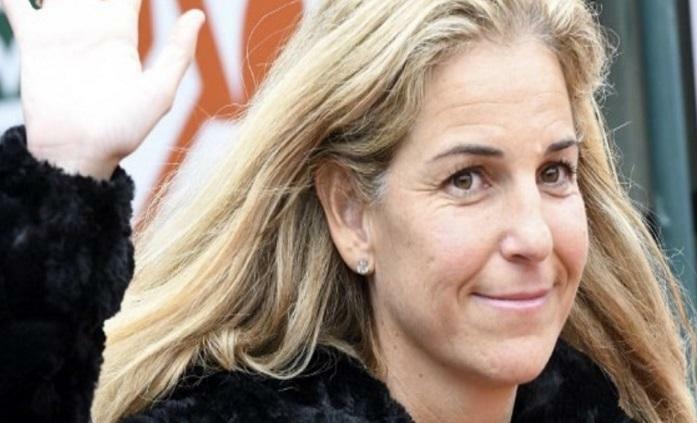 The Supreme Court of Spain condemned Arantxa Sanchez Vicario to pay 5.2 million euros for “tax fraud”. Arantxa’s response was that she did not have a peso and that her parents had squandered her fortune. The rupture of Arantxa Sanchez Vicario with her family was complete and in February 2012, in a room on the Rambla, in Barcelona, she presented her controversial memoirs Vamos. She did not accept questions, but both in her brief statement and in the text, she accused her parents of psychological abuse and having mismanaged her assets. “I never handled anything, I only had a credit card for US $1,500 of monthly expenses,” she explained. And she also took them to the courts, where the matter was only settled three years later, with an agreement that returned two properties to Arantxa (one in Barcelona, one on the Costa Brava) and, supposedly, family peace. Her father, at that point, suffered from Alzheimer’s and when Arantxa tried to visit him, to say goodbye, she was not allowed to enter directly. In 2014, Arantxa Sanchez Vicario and her husband – who did not know or know of any permanent occupation – left with the children to Florida and since then everyone has lived their lives, although the separation just came out a year ago. That debt with the Treasury was paid by the banking of Sabadell, but the guarantor was the Bank of Luxembourg – where deposits were made for income of Arantxa in prizes and advertisements – and that now demands payment. Moreover, he asked that the former tennis player and his ex? husband. This, on the other hand, disregards, since it says that it had signed the separation of goods at the time of getting married. She looked unhappy, nervous, almost lost, in her first appearance in Miami. Months later, invited by the organization of the championship of Roland Garros for the delivery of the prizes, at least it had recovered a smile, it was in its climate, there where it had gained three of its Grand Slam crowns during its glorious years of 90 (the other one it was at the US Open), as well as reaching three other finals. The bankers’ lawsuit remains standing. The divorce will come out at some point. The life of Arantxa Sanchez Vicario now goes through caring for her children and directing the sports section of a private school in Miami, the Metropolitan International School. At least there, the tennis teams, in their tribute, call her “Arantxa’s All Stars”.